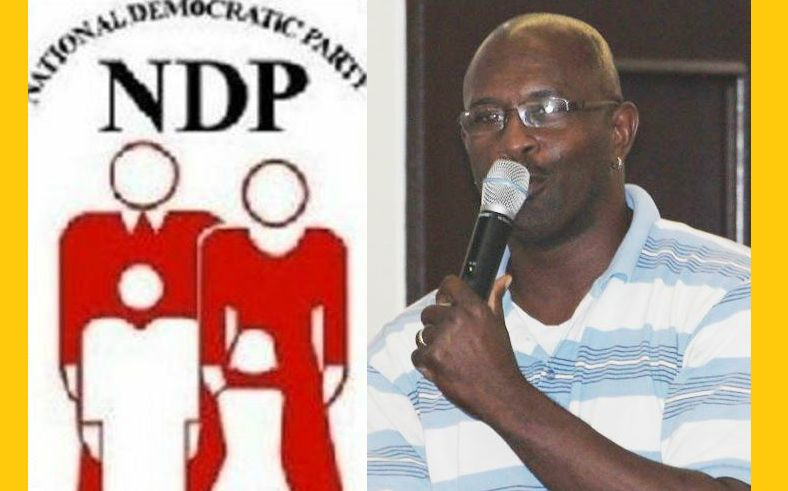 ROAD TOWN, Tortola, VI- Talk show host Julio ‘Sam’ Henry has accused the ruling National Democratic Party (NDP) of being a sleeping government or one with a serious case of not caring. He said he recalls the Premier Dr The Hon D. Orlando Smith saying that they had been doing so good in government that he was asking the people to give them a chance to continue the work they started. He pointed out that up to this day the people have not received a report from the ruling party and the people are “bawling”. “I ain't calling the NDP liars…what I am calling the NDP is a sleeping government or they don’t care because they haven’t given us any report. People out here hurting more than they were before, we are struggling more than we were before, we have more taxes than we had before, we have the high prices in the country that we have seen in recent years, we seeing major business people in the community coming out and telling us that they have tried for years to meet with the premier to give him ideas…legitimate, logical ideas to help small businesses grow and in turn help the consumer and the country,” Mr Henry said. According to him, one particular person that he knows has been trying for over three years to put forward their ideas for the small businesses such as to ease the taxes on the import duties on certain products coming in and then, put some mechanism in place so that the businesses that are benefitting from that low taxes will pass it on to the consumer. But instead he lamented, what was done a few years ago was, they dropped the income tax for some of the major players in the industry for a while just before the snap election in June 2015. He said everything went up after the election including work permits and rent, the National Health Insurance came on stream and everything that a poor man has to pay went up except salaries. Mr Henry added that former Premier Ralph T. O’Neal OBE would appear to be sleeping but he was always fully alert, unlike Dr Smith who is wide awake but apparently sleeping. Dude go sit down! You was behind NDP backside when they promise you a contract. You ain't get it so you here against them now. That's what you get for selling your soul for 30 pieces of silver! THEY GAVE HIM THE CONTRACT TO KEEP HIM QUIET. BUT HE SEES THE UNJUST THAT IS GOING ON AROUND US EVERYDAY BY THE RULING GOVERNMENT THAT IS WHY HE IS SPEAKING OUT RIGHT IS RIGHT AND WRONG IS WRONG. THEY HAVE NO PRINCIPLE. Things were better under VIP because we are worst off now than 5 years ago. The politicians businesses are booming...They bought several businesses...They bought several houses and properties...They are touring the world etc etc etc. some of them and their followers are building huge mansions as we speak. I am suffering too, but good for you all. Look how stupid we are! White enevelopes were sharing. So they took the bate . We cant see further than our fingers,, According to the parrot whose bottom was sewed so we would not talk .Poor asscies. This is the price you pay for being foolish. Shut up and eat your porridge without milk and sugar you fools. stop complaining. We are so Devilish. We are program to accept and embrace, lies and liars over truth and truth tellers.. We have to start by blaming ourselves before we can blame others. They are our mistake..
Who is this uncircumcised philistine making all this noise in our country? Is it because he wanted something from them and did not get it ?